Douglas Construction Group (DCG) is preparing to build another masterpiece in Wyngate!! Call/email to learn more about the upcoming construction and discuss options & selections. This one-of-a-kind craftsman is the newest edition to the DCG portfolio for innovative and exciting floor plans! The 5-bedroom, 4.5-bath, 2-car garage home sits on a beautiful & professionally landscaped 7,804 sq. ft lot—on a street where lemonade stands and runners/walkers are a daily sight. Containing all exclusive DCG signatures and custom details, this home features a natural stone hearth fireplace in the family room with built-ins; an oversized mudroom with cubbies and 2 enormous walk-in closets; a Command Center (den/office); chef's designer kitchen; an upper-level bonus room; a spa-like master suite; an exercise/media room on the lower-level; tons of storage…and much, much more! Sold in 5 days over asking price! Stunning! This 4 Bedroom, 4 Full Bath, 2 Half Bath 3-level home with a 2-car garage sits on an enormous (20,631 square foot) professionally landscaped level lot...the best of both worlds: a nature lover's oasis and, with a sizable outdoor sport court, a basketball player's dream come true! The first of two brand-new custom homes, constructed by Spring Valley Builders, LLC. Built to last, this 5BR, 4.5BA, 2-car garage 3-level home on 5715 Bradley Blvd sits on an EXTRA LARGE & LEVEL 16,611 square foot lot – just minutes from downtown Bethesda. Special features include: open-floor plan; gourmet kitchen; oak hardwood plank flooring, mudroom, two gas fireplaces and tons of storage space. The exterior includes beautiful flagstone patio, front porch and a two-car front-loading garage with plenty of parking. Allied Realty Corp is pleased to present this 2002 custom-built Welty home in the heart of the great Ayrlawn/Wyngate community. This Welty Bros custom built 2002 home is loaded with upgraded features on every level. This home is located in the Walter Johnson High School District, and easy access to Bethesda shops, restaurants, businesses, Metro stations, transportation, the NIH, B-CC YMCA, 495 and I-270. Allied Realty Corp. is pleased to present this 2004 custom-built open-floor plan contemporary home by Spring Valley Builders, LLC. This rare gem sits on a close-in lot in the “East Bethesda” neighborhood-- and is loaded with upgrades and details—including: chef’s kitchen; custom built-ins and seating; designer lighting; stained-glass window… and much more. Conveniently located to 2 metro lines ( Bethesda and Medical Center stops), Bethesda shopping and restaurants, arts and entertainment, the NIH, Walter Reed, Lynbrook Community Center, and several public parks. 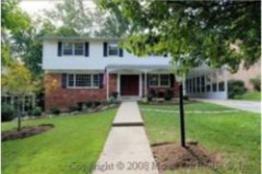 This home is located in the B-CC HS district.....A modern urban oasis on a tree lined street. Built to last, this 5BR, 5.5BA, 2-car garage 3-level home on 5717 Bradley Blvd. 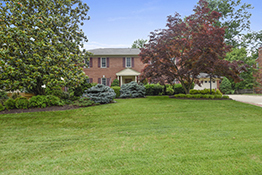 sits on an EXTRA LARGE & LEVEL 14,220 square foot lot – just minutes from downtown Bethesda. Special features include: open-floor plan; gourmet kitchen; oak hardwood plank flooring on main & upper levels, three gas fireplaces, ginormous eat-in kitchen, beautiful & big butler pantry, massive side entry mudroom and.... a gorgeous screened in porch with built-in stone fireplace-perfect for fall & winter evenings! This house will be available end of September. Sold for full price in 11 days! Douglas Construction Group (DCG) delivers another masterpiece in Wyngate!! Do a drive by...it looks incredible:)...or give me a call to tour this beautiful home on an amazing street! This prairie-style craftsman is the newest edition to the DCG portfolio for innovative and exciting floor plans! The 5-bedroom, 4.5-bath, 2-car garage home sits on a beautiful & professionally landscaped 7,100 sq. ft lot. Containing all exclusive DCG signatures custom details, this home features a natural stone hearth fireplace in the family room with custom built-ins; an oversized mudroom with cubbies and tons of storage; chef's designer kitchen; an upper-level bonus room; a spa-like master suite; an exercise/media room on the lower-level; …and much, much more!! Sold for full price in 4 days! East Coast Classic!! Stately & Elegant best describe this 2001 Welty built custom open floor plan colonial in the great Wyngate neighborhood of Bethesda. This gorgeous 5BR, 4.5BA home sits on a large corner lot and offers plenty of space on 3 finished levels for both play & entertainment. Custom home features include a dual entry main level office with wall-to-wall built-ins, 2-story foyer with sweeping, grand staircase & oversized oak newel posts, hardwood flooring, 2 fireplaces (one wood burning with optional gas starter), gourmet eat-in kitchen, mudroom, massive rear flagstone patio & deck, two covered flagstone front porches and numerous upgrades including fresh paint, new flagstone walkway, new light fixtures, etc. An oversized side-loading garage, which egresses onto Conway Road- makes it ideal for unloading and safe parking. If you're looking to buy a home in Wyngate this fall...this one is worth the wait! :) Come on by and see for yourself! Sold full price in 35 days! Sold for $29K over asking! 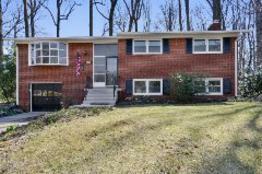 4 BR, 2.5 BA split-level in Wyngate. 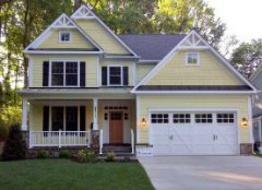 Private fenced lot, hardwood floors, table-space kitchen, master suite, large 3-season porch, walk-out LL with fireplace. Walter Johnson High School district, convenient NIH, I 495 and I-270. Sold for $20K over asking! Beautifully designed, well-maintained mid-century modern on large (9,005 sf) lot on cul-de-sac; 4 BR, 2.5 BA, master suite, home office/den, harwood floors, renovated/updated kitchen, mudroom. Walter Johnson HS district. Immaculate bi-level with 4BR and 2.5 BA sits on lot backing to large public wooded space on peaceful cul-de-sac. WJHS district. Unique 2001 construction by Kehoe Construction, 6,150 sf, 4-levels, 5 BR/5.5 BA, det. 2-car garage, gorgeous built-ins, designer kitchen, butlers pantry and wet bar, hardwood, large lot, in the heart of Chevy Chase. C.M. 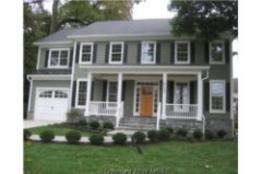 Conlan Contractors & Builders 6BR/5.5BA home on large (15,000 sf) lot in Chevy Chase View neighborhood. 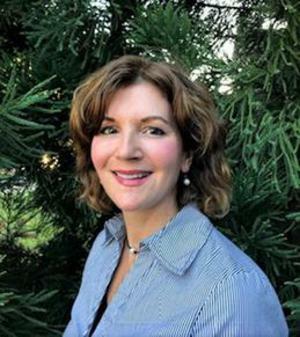 Front porch, 2-car garage, separate mudroom entry, built-ins, chef's Kitchen with granite, pantry, 2 fireplaces, full finished basement with walkout, large master suite. Built by Hamilton Construction Company and Cassell Construction in Wyngate. 4-level home w/5 BR & 4.5 BA, main level office, att. 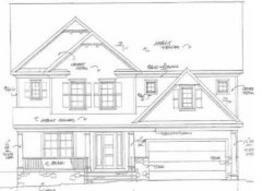 2-car garage with separate mudroom entry, huge kitchen, butlers pantry, walk-in pantry, master suite, sitting room, finished 4th level with bedroom, large finished basement with BR/BA. 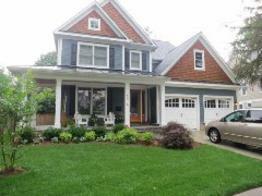 Built by Carter, Inc. Gorgeous 3-level home with 5 BR, 4.5 BA and optional elevator, in Chevy Chase. Main level Great Room, coffered ceiling, fireplace, Dining Room with French doors to covered porch, rear patio, large mudroom, built-ins, walk-in closet. Chef's Kitchen, walk-in pantry, butler's pantry. Finished Lower level with bedroom suite, fireplace, optional theater room, exercise room. Gorgeous new home by C.M. 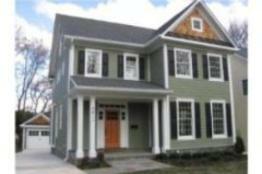 Conlan Contractors & Builders, Inc. 5BR/4.5BA with 4th level office/bedroom, att. 2-car garage w/entrance to mudroom, hardwood, kitchen with island, granite & stainless, finished lower level, fantastic location. Sold for $100K over asking! 4BR/3.5BA (new in 2009) custom & upgraded home in Wyngate on large (8,777sf) lot, open floor plan, 2-story foyer, hardwood, granite, 2 gas fireplaces, chefs kitchen, den w/wet bar. Unfinished basement with walkout. Sold in 5 days $5K over asking! 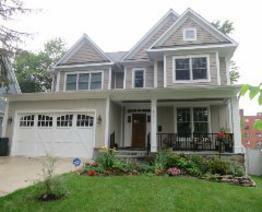 5BR/4.5BA (new in 2013) home in Wyngate, top-shelf features throughout: generator, mudroom w/sep. entry, oversized 2-car garage, custom tile, marble and granite. Sleek and modern kitchen w/ extra prep sink, 2 pantries; large master suite. Sold in 2 days - full price! 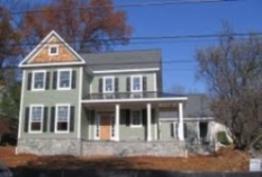 One of 2 new homes in the heart of downtown Bethesda built by C.M. Conlan Contractors & Builders. 6 BR/5.5 BA on 4 finished floors, wrap-around porch, 2-car garage, mudroom with built-ins, chef's Kitchen with granite, center island, eating area, pantry; main-level office/den, 2 fireplaces, full finished basement with walkout, gorgeous Master Bedroom suite. In the heart of downtown Bethesda. Built by C.M. Conlan Contractors & Builders. 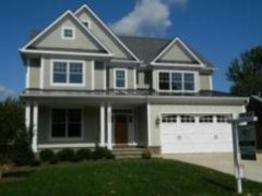 6 BR/5.5 BA on 4 finished floors, wrap-around porch, 2-car garage, mudroom with built-ins, chef's Kitchen with granite, center island, eating area, pantry; main-level office/den, 2 fireplaces, full finished basement with walkout, gorgeous Master Bedroom suite. 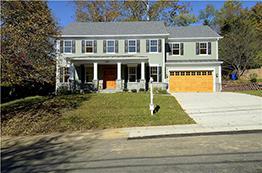 New construction by Montgomery Homes LLC on 12,000 sf lot in Glen Echo Heights. Open floor plan, 6 BR/5.5 baths, wrap-around porch, 2-car garage with separate mudroom entry/porch, designer Kitchen with 2 dishwashers, 2 sinks, granite, island, breakfast area, beverage center, and more. Family Room with fireplace, master suite, huge finished basement. Sold for $22,500 over asking! 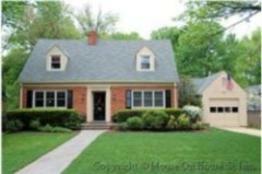 Exstensively remodeled (2012), 3BR/3BA cape in close-in Bethesda. 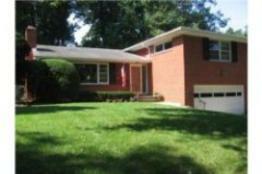 Gutted & remodeled kitchen, bathrooms, finished basement, roof, gutters/downspouts, plumbing, electrical, landscaping. Very convenient to dwntn Bethesda, Metrorail, NIH, Naval Medical, I495/I270. Built by Spring Valley / Kehoe Contractors LLC. 3-level, 5BR + bonus room, 4.5 BA on a large lot in Wyngate. Designer kitchen, granite, pantry closet, stainless appliances, large island, built-ins, coved ceilings, two fp, flagstone porch/patio, 2-car att. garage, mudroom, finished basement with bedroom & walkout. Renovated (2013) home by C.M. Conlan Contractors & Builders Inc. in Garrett Park! 3 BR, 3 BA 3-level split , granite countertops, stainless appliances, screened porch, new light fixtures, new doors, hardwood floors, fireplace & built-ins in FR, convenient location. Walter Johnson HS district. New home by Cassell Construction / Hamilton Homes, 4-level arts & crafts home in Wyngate. 6BRs/4.5 Baths, finished 4th level bedroom/office suite, huge finished walkout basement, gorgeous gourmet Kitchen with pantry, granite, center island, breakfast area, 2-car garage with sep. mudroom entry. New home by C.M. Conlan Contractors & Builders Inc. in Wyngate. 5 BR, 4.5 BA, elevator, att. 2-car garage, hardwood floors, Kitchen w/granite, island, s.s. appliances, pantry, breakfast area, butler's pantry, enormous finished lower level. Built by C.M. Conlan, located on a beautiful street in charming Wyngate. Three finished levels, 5 BR, 4.5 BA, sep. mudroom entry, 2 fireplaces, hdwd floors, huge finished lower level, gourmet Kitchen, attached 2-car garage. C.M. Conlan Builders. Located on beautiful lot in sought-after Wyngate neighborhood. Three finished levels, 6 BR, 5.5 BA, mudroom, study, 2 fireplaces, harwood, finished lower level, gourmet Kitchen/breakfast room, att. 2-car garage. Built by C.M. 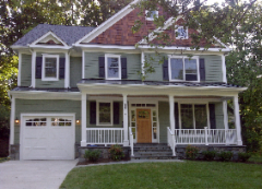 Conlan Contractors & Builders, Inc. Close-in Bethesda/Whitman school district. Extra-large open floor plan, three finished levels, 5 BR, 4.5 BA, sep. mudroom entry, study, 2 fireplaces, harwood floors, huge finished lower level, gourmet Kitchen/breakfast room, attached 2-car garage. Built by Spring Valley Builders / Kehoe Contractors LLC, 3-level home 5BR/4.5BA on large, lot. Designer kitchen, granite/stainless/center island, main level study, built-ins, coved ceilings, two fireplaces, flagstone porch, 2-car attached garage, mudroom. By C.M. Conlan Contractors & Builders, Inc. Corner lot in Wyngate. 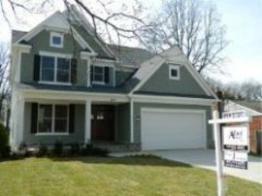 5 BR, 4.5 BA, sep. mudroom entry, 2 fireplaces, hwd fl, huge finished basement, gourmet Kitchen with granite/Thermador, att. garage, more. New build by C.M. Conlan in Wyngate. 3 finished levels, kitchen with granite/stainless, mudroom, built-ins, hardwood floors, two fireplaces, huge finished lower level, attached garage. * To learn about the C.M. 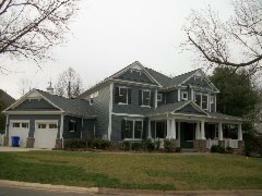 Conlan’s construction process, construction contract-terminology, tour model homes, etc., call or email me. New build in Wyngate by C.M. Conlan Contractors. 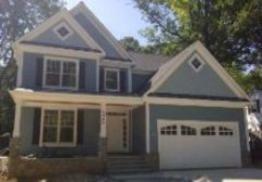 3 finished levels, 5 BR / 4.5 BA spacious master suite. Gourmet kitchen. Mudroom with custom built-ins. Hardwood floors, 2 fireplaces, huge finished lower level. Landscaped yard, att. garage. 3 levels on very large lot very near Beach Drive park/trails. Designer kitchen, main level study, built-ins, coved ceilings, two fireplaces, flagstone porch, 2-car attached garage with mudroom. Five bedrooms, four full Baths and one half bath. Redevelopment lot in Bannockburn neighborhood, close to C&O Canal, Potomac River. Look for newly-built home here in summer 2012 from Kehoe Construction/Spring Valley Builders! Sold! Under Contract in 6 days! New Arts & Crafts Colonial from C.M. Conlan in Wyngate. 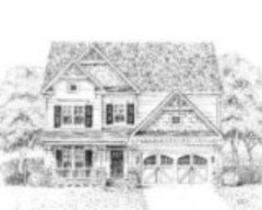 5BRS, 4.5BAs, separate mudroom, Kitchen with granite, 2 fireplaces, hardwood, porch, attached garage. Completely renovated/updated split in Wyngate. 4BR/3BA, enclosed Sunroom, bay windows, new bathrooms, Kitchen, windows, doors, electrical, attached garage with sep. entry, new fence, hdwd, beautiful yard. Custom built by Montgomery Homes, LLC! 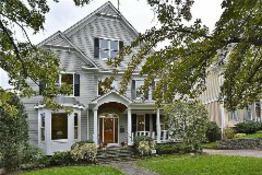 5 BR, 4 1/2 BA, Whitman School District. Designer kitchen, granite, breakfast room, main level study, formal dining room, wet bar, butler pantry, walk-in pantry. Separate entrance mudroom with built-ins, 2-car garage. Tray ceilings, huge finished lower level. Fully renovated and remodeled (2003) 6BR, 4.5BA , 3-level open floor plan home (designed by Rui Ponte Architect). Convenient to downtown Bethesda and D.C. Designer Kitchen with stainless steel appliances and granite countertops opens to a Great Room with a stone fireplace. Radiant heat floors on both lower and main level and a gorgeous Master Suite. 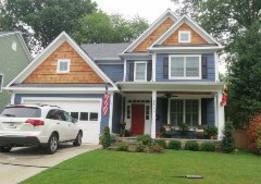 Immaculate 7BR/5.5BA custom 2008 Craftsman home. 4 spacious finished levels. Designer Kitchen with all ammenities. Open floorplan. Beautiful molding details. Huge finished lower and 4th levels each with guest suite/bath. Elegant Master suite with dual closets. Beautiful new build by C.M. Conlan Contractors and Builders Inc. Three finished levels, gourmet kitchen, mudroom with custom built-ins, two fireplaces and huge finished lower level. Attached garage. Stately 5BR/4.5BA brick, 2-Car Garage Newer Colonial (2001 built) on a pretty no-thru street in the heart of the Sonoma/Wyngate neighborhood. Chef's eat-in Kitchen with all amenities. Huge finished walk-out lower level with separate Den/Guest Room, full bath, Exercise Room. Gorgeous Master suite. 4BR, 3.5 BA brick & Hardieplank colonial with large (2007) 2-story addition. The large landscaped lot, open floor plan, designer Kitchen (2007), granite counters, built-ins, mudroom, Master BR suite, screened porch, dual laundry, new roof. Lot located in prime Alta Vista location! Value is in the land. Lot size: 9,005 sq ft. Bethesda: near YMCA, parks, schools, bus line, Metro, NIH/Navy-inside the Beltway. 3BR, 3BA stone & Hardieplank ranch with spacious (vaulted!) Great Room/Kitchen addition with granite, island, recessed lighting. New fixtures, new hot water heater, newer windows, newer roof. Deck off Great Room to lovely, large lot. Located in charming Sonoma. 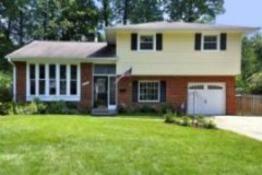 Built by Kehoe Contractors 4-level home on lovely lot in East Bethesda. Designer kitchen with large island, main level study, built-ins, coved ceilings, two fireplaces, flagstone porch/patio, 2-car attached garage with mudroom. Six bedrooms, five baths and one half bath. 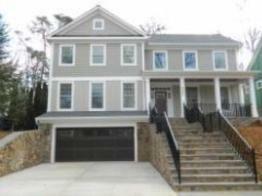 Built by Douglas Construction Group (DCG Homes), this new Bethesda home will contain: 4 finished levels, 6 bedrooms, 5 full baths and 1 half bath. Welcoming flagstone porch, designer kitchen with stainless appliances and granite counter tops, hardwood floors, mudroom, and attached two- car garage. Conveniently located near Ayrlawn Park. * Other home sites available in Wyngate, downtown and East Bethesda. Sold Full Price in 4 Days! Not to be overlooked!! Upgraded and loaded with amazing detail and features. "Southern Living" charm in this immac, open floor plan, almost new (2004) large 6 BR 4 1/2 BA custom home in Wyngate. Large, open gourmet kitchen w/granite & stainless... to die for! 4 fin lvls, hdwd flrs, 3 zone surround sound! Conv dwntwn Beth, Metro. New build by Spring Valley Builders/Kehoe Construction in downtown Bethesda. 5Bdrms, 4.5baths, attached 2-car garage. Porch, large deck & rear patio with gas line hook up for grill! Granite throughout Kitchen & all full baths. Hardwood floors on two levels! 2 fireplaces, upgraded molding package. Master Suitewith custom closets. Sold In 5 days for Over Asking Price! Simply stunning one of a kind, “Southern Living” charm in this immaculate open floor plan large 6 bedroom, 4.5 bath custom home on English Court. Designer kitchen with stainless steel appliances and granite countertops (two sinks, two disposals). Massive great room with stone fireplace… Without a doubt this house screams, “WOW!! !” Convenient to downtown Bethesda and DC. Whitman school cluster. Sold for Full Price in 10 Days! New 5 bedroom 4 1/2 bath "arts and crafts" home built by C.M. Conlan Contractors and Builders in Wyngate neighborhood. 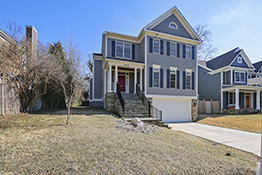 Located in the charming Wyngate community of Bethesda and convenient to downtown Bethesda/Washington DC, Beltway, Metro, is a soon-to-be-built 5 bedroom, 4.5 Bath with a welcoming wrap-around porch and side entry mudroom. Four finished levels! 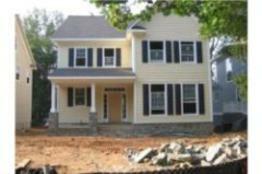 GREAT OPPORTUNITY to own a BRAND NEW 5 bedroom, 3 Full-bath, 2-Half Bath Colonial in Alta Vista to be built by C.M. Conlan. Three finished lvls, amazing detail, smart design! Buyer can customize / make option selections. 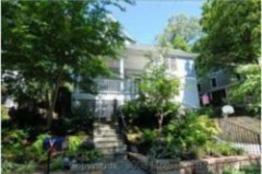 Close to YMCA,old Bethesda Trolley trail, ride on bus, NIH, Navy & Metro and shops. Make appt. & walk lot w/ Builder. Quality built home by C.M. Conlan has it all! Located on woodsy Street inside the beltway and near downtown Bethesda. 4-Finished levels, gourmet kitch, granite galore, high tech wiring, hardwood floors, flagstone patio/porch and detached 1-car garage. Sold For 16K over the asking price in 4 days! Built by Pulte, this is a classy, updated center hall Colonial, with 4BR, 2.5Ba and a 2-car garage on large level fenced in yard. This home has a newly renovated granite kitchen with convection oven and range, two pantries and recessed lighting. It shows beautifully! 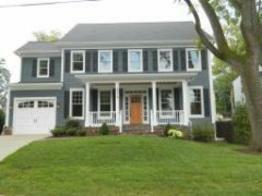 Classy & Spacious Center-Hall Colonial w/6 Large Bedrooms, 3.5BAs & abundance of storage space. Large rear yard. Numerous upgrades include: new lighting, new hardware, new vanities, new carpet, fresh paint, new flooring, etc. Fam. Rm w/brick FP and built-in file cabinets alcove study niche. Front porch and carport. Classic Cape Cod, conveniently located in the heart of Wyngate. This home has 4 bedrooms, 3 Full baths and is located on a corner lot with a side-loading driveway. 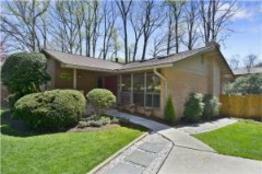 "Bright and beautiful" best describes this 3 BR 2 BA cape in the heart of Wyngate community. 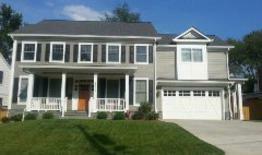 Huge great rm addition, skylights galore, prof land yd, 2 new baths, & a completely new 2007 kitchen add to the "wow factor!" All of this at a price that's hard to come by inside the Beltway. BRAND SPANKING NEW Home, built by C.M. CONLAN Contractors & Builders. 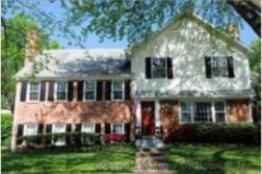 5 BR 4.5 BA colonial in heart of downtown Bethesda, near Metro, NIH, Navy Medical, shops & restaurants. Gourmet kit w/granite & ss appl, mudroom w/built-ins, hardwood flrs, 2 fp's, fin lower lvl, spacious yet cozy MBR suite, lg closets. Gorgeous landscaped yard. Sold for 39K Over Asking Price in 4 Days! 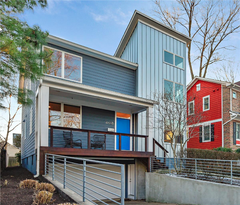 Classic, updated and expanded Wyngate cape cod on a woodsy street. 2006 renovations include: new kitchen w/granite, stainless, walk-in pantry; large master suite w/vaulted ceilings; sunny family room. Hardwood floors on main and upper level. Finished basement. Sold for 20K Over Asking in 4 Days! 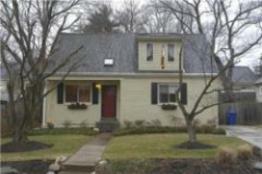 Immaculate, excellent condition, large 5 BR 3 1/2 BA colonial split with over $40K in 2009 renovations. Check out photos and virtual tour!! Bright & beautiful with enormous gourmet kitchen, and new master bath suite... extremely well priced and ready to move in! 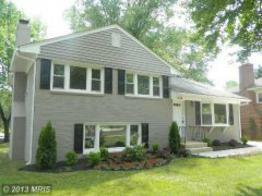 Recently remodeled, spacious 4 level split w/ 2 car garage inside Beltway. 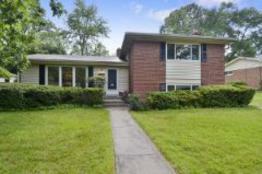 New kitchen counters, new carpeting, refinished wood floors, updated bathrooms. 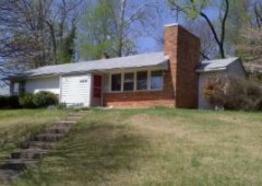 Very convenient to community pool, dwntn Bethesda, NIH, Naval Medical, Rock Creek Park.